Bauchi: PDP unseats APC in governorship election - The Liberty Times™ Nigeria | @TLTNEWS247 Where the world listens to the Nigerian voice! Senator Bala Mohammed of the People’s Democratic Party has emerged the new Governor of Bauchi state, polling 515,113 votes to defeat the incumbent Alhaji Mohammed Abubakar of the All Progressives Congress APC who scored 500,625 votes. Bala won with 14,488 votes in another tight governorship race. Sokoto and Kano governorship races were similarly close. News Agency of Nigeria reports that the governorship election in the state had earlier been ruled as inconclusive by INEC and March 23 fixed for re-rerun poll in Tafawa Balewa local government area and some polling units in some other local government areas of the State. INEC later reversed itself as it ordered the collation of the results. 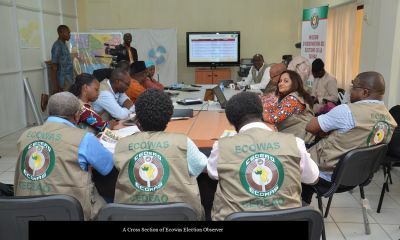 This followed a fact-finding report by a panel led by an INEC commissioner Festus Okoye. But Governor Abubakar challenged INEC’s volte-face in an Abuja High court. The court initially ruled to stall INEC’s action, but on Monday, the court gave INEC the go-ahead to conclude the collation. The Returning officer Professor Mohammed Kyari declared Bala Mohammed, a former senator and minister of the Federal Capital Territory as the winner of the election on Monday night. “Bala Mohammed having scored the highest votes and satisfied all the requirements of the law is hereby declared Winner of the Governorship election in the state”, he said. “In any contest there will be a winner and a loser”. He urged the politicians not to gloat in victory. But the advice was not heeded by supporters of Bala Mohammed, who turned the celebration of the victory into a carnival, as they took over the popular Ahmadu Bello Way, singing ‘Sai Kaura’, drumming, blowing flutes, trumpets and saxophones and dancing to the tunes of a variety of music. Motor-cyclists joined in the revelry with acrobatic displays. Mrs Aisha Usman said God has answered the citizens’ prayers. “We are celebrating the outcome of the results of the election as INEC finally declared the man of the people, Sen. Bala Muhammed the winner of the governorship race. 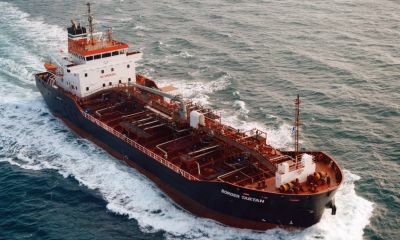 “This is what we have been praying for and God has answered the cry of the masses,” she said. Mrs Abigail Haruna, who also joined the celebration, said the governor-elect was a good man with a high spirit of patriotism. She said the people believed that the new governor would take care of them. “I am very happy that I am witnessing today that the change we wanted is actualised”, said Mr. Ismail Raji, another Bauchi resident. “I thank God that the final result favoured the Peoples Democratic Party and Senator Bala Muhammed in particular. Bala Muhammed is the change we wanted in Bauchi state,” Raji said. Imo State House of Assembly has finally recalled five of its members it suspended six months ago over alleged “un-parliamentary” conduct. The lawmakers were recalled during the Tuesday plenary of the state Assembly presided over by Speaker Acho Ihim. Announcing their recall, Ihim said the lawmakers were recalled after invitation for an interaction during the Assembly executive session. The Imo State House of Assembly had in October 2018, suspended the lawmakers on allegations bothering on un-parliamentary conduct. The recalled members are Chiji, Uche Oguwuike, Ifeanyi Nnataraonye, Donatus Onuigwe, and Kenna Nzeruo. 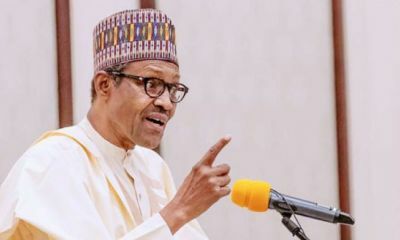 The Senator representing Taraba Central senatorial district, Yusuf Abubakar Yusuf, on Tuesday disclosed that contrary to speculations in certain circles, President Muhammadu Buhari was not supporting any particular aspirant for the office of the 9th Senate President. Speaking with select newsmen in his office, Yusuf stated that Buhari told the aspirants to go into wider consultations with their colleagues in the hallowed chamber for support. In his words, “I’m only speculating Mr. President on this issue. “Buhari has no particular aspirant in mind to support. He said everybody is free to contest. When further grilled, the Taraba senator said nobody among the aspirants should be contented with being nominated by the ruling All Progressives Congress, APC, leadership. He added, “Since the position was zoned to the North-East, it is the duty of the lawmakers from the geo-political zone to harmonise and have a consensus candidate”. President Muhammadu Buhari has congratulated Prime Minister Benjamin Netanyahu of the State of Israel on his victory in the parliamentary election. Buhari in a statement by his Special Assistant on Media and Publicity, Malam Garba Shehu, in Abuja on Sunday, extended best wishes to the people of the State of Israel in the aftermath of the successful conclusion of the poll. 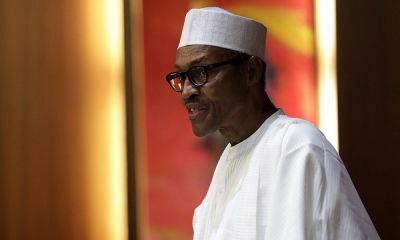 The Nigerian leader, who also wished them peace, progress and stability, said he looked forward to continue to work with the Israeli Prime Minister to strengthen existing cordial and mutually-beneficial relations between the two countries. Buhari wished Netanyahu a successful new term in office and prayed that his record fifth term would bring enduring peace and security to the Middle East. 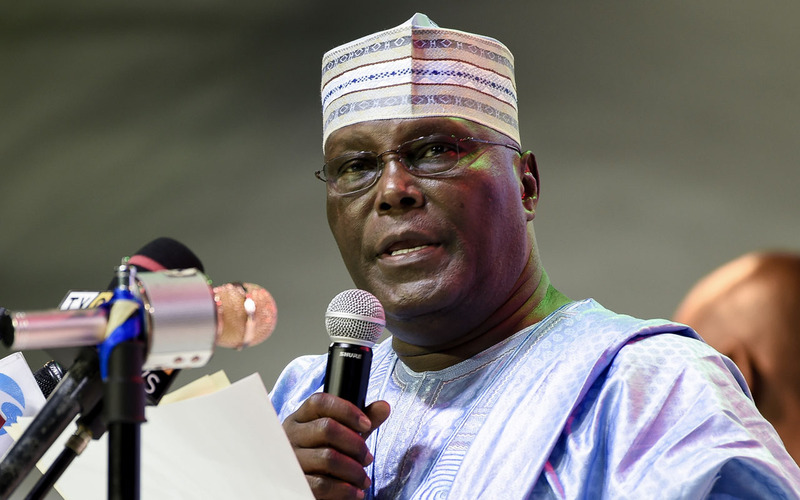 Atiku Abubakar, the Peoples Democratic Party (PDP) presidential candidate in the 2019 election, has said the All Progressives Congress (APC) does not deserve an answer, after contesting his Nigerian citizenship. The former vice-president stated this in a statement, signed by his media aide, Paul Ibe, on Saturday. Atiku and the PDP are challenging President Muhammadu Buhari’s victory at the Presidential Election Petition Tribunal, claiming that from the data in INEC’s server, he actually polled a total of 18,356,732 votes while Buhari recorded 16,741,430. But APC urged the tribunal to dismiss PDP’s petition for incompetence, arguing that Section 131(a) of the Constitution stipulates that a person must be a citizen of Nigeria by birth to be qualified to contest for the office of the President. Atiku’s statement read: “Dear citizens of our beloved country, Nigeria, His Excellency, Atiku Abubakar, told us previously that he has verifiable and incontrovertible evidence to show that the last Presidential elections were fraudulent, not credible and did not reflect the will of the Nigerian people, and he has been vindicated by the response of the All Progressives Congress and its candidate, President Muhammadu Buhari, to his petition to the Electoral Tribunal hearing the petition he filed. “The former Vice President based his case on facts and statistical evidence and challenged both the Independent National Electoral Commission (INEC) and the APC, to disprove his factual submissions. 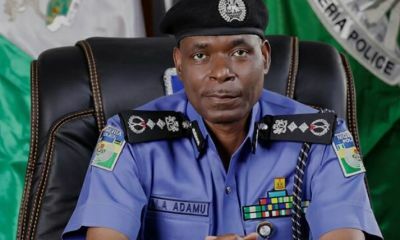 “The fact that the APC chose to base its defence on the ridiculous assertion that the Waziri Adamawa is not a Nigerian should show to Nigerians the type of characters we have in the APC and its government, whose legitimacy runs out on May 29, 2019. “I am, however, confident in the Nigerian judiciary, as well as in the Nigerian people. I trust that the Tribunal will treat such a claim with the contempt it deserves. We must maintain our fidelity to the rule of law and to our fountain of origin, the 1999 Nigerian Constitution (as amended). “Atiku Abubakar has served our nation diligently in various capacities, form the civil service, where he rose through merit, to the top of his chosen field, to public service, where, by the grace of God, he was the Vice President of the Federal Republic of Nigeria.